I am living in a world of cold and white so of course I am thinking of the warm breezes of spring and summer. Maybe if I think hard enough some of the two feet of snow in my yard will melt. A girl can hope. There is one thing I CAN do though – I can window shop. Or in my case laptop shop. I do try whenever I can to look for affordable ethical fashion choices. I recently learned of a new site that offers just that. LoveJustly sent me some pieces at no cost for review but that did not impact my thoughts on the website. This conversation is brought to you today from LoveJustly. 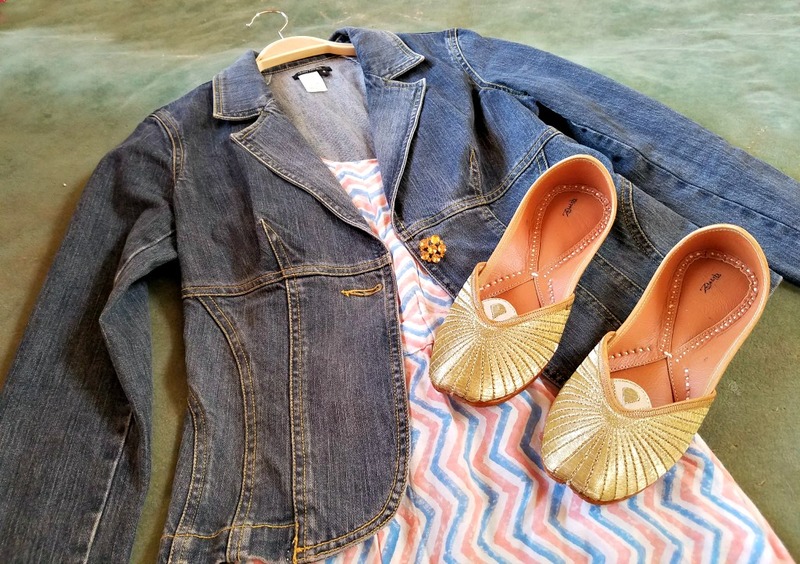 LoveJustly offers clothing, jewelry, bags, accessories and some kids clothes. It’s a unique site in that there are only so many of each item so if you like something don’t wait ’cause it could well be gone in your size and then there are no more. Everything on the site is fair trade and ethically sourced so you can be comfortable in making a purchase. In addition, each purchase you make helps to support Legacy Collective – 5% of the profits go to the organization. You can learn more about it HERE. I found a dress (Sky Blue and Coral Maxi Dress) that I thought would be a perfect piece to add to my wardrobe. 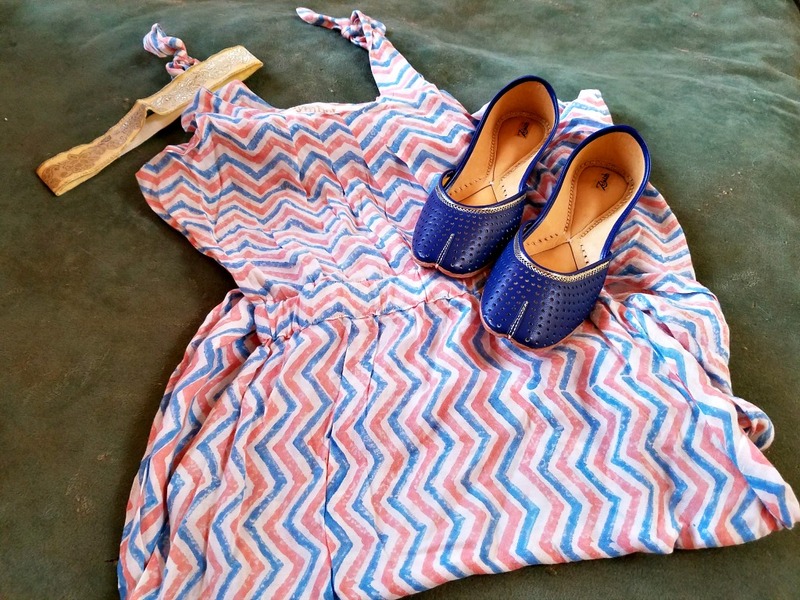 It’s a sundress – I have several of them because I find them quite versatile. They can go from spring to summer and almost into fall depending on the colors used. This one is a spring into summer as it’s got pretty coral and blue stripes. I think it would be a bit of stretch for fall but that’s OK. With all of the day trips I’m hoping we’ll make this year I’m sure I’ll be wearing it frequently. Since it’s been below freezing around these parts since it arrived I wasn’t going to go outside in a sundress. I’m sorry, I’ll only go so far for the blog people. I’ll just tell you that the dress is 100% cotton, ankle length, with a front slit that comes to the knee. It has pretty ties at the shoulder and I can see wearing it with my blue flats. I also received a sweet sari silk headband from LoveJustly that would go well with this dress. I’d put my hair back in a low ponytail. I’d be all set for a day at the fair. Of course this would be high summer – which for me is about the two days where the temps are 105° ’cause I am always c.o.l.d. That leads me to this second option for my new dress. I recently picked up a new denim jacket that has a slightly dressier air than my current one. The button is covered in rhinestones and it looks more tailored. Add some sparkly gold shoes and I’m all ready for dinner out with the hubby. Yet I’m still quite comfortable. I love a piece of clothing that can dress up or down, spring or summer. Lately everything I add to my closet I try to make doubly useful. This dress certainly fulfills that need. There are several pieces on LoveJustly that I could easily add to my wardrobe – like this Kimono Dress that I am lusting after but it’s not available in my size. If you are looking for unique, affordable and ethical fashion be sure to check out LoveJustly.